Acrotonic describes how some plants, especially trees, prefer to send sap to buds near the top of the plant. The plant thus grows upwards, and low side branches naturally prune. Acrotonic growth especially occurs in young trees. This is what allows the trunk to develop, as opposed to shrubs, which are basitonic. Poplars, beech trees and even vines share this characteristic. 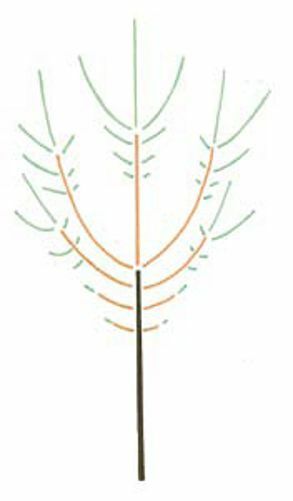 By extension, the term acrotonic can also be used to describe the growth of branches, when growth is led by terminal buds.